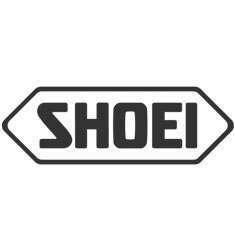 Shoei expands its helmet range and introduces the EX-Zero: an undeniably classic looking helmet packed to the brim with modern features. It is based on Shoei's EX-series from the 1980s. The EX-Zero looks like a no-frills, hop on the bike and twist the throttle kind of helmet, but there's more than meets the eye. It houses a cleverly hidden dropdown CJ-3 visor which can easily be swapped out for a tinted alternative if you choose to. The shell is constructed using Shoei's Advanced Integrated Matrix technology, creating a lighter, more elastic shell that is still highly impact-absorbent and penetration-resistant. It comes in 3 shell sizes ensuring a perfect fit while keeping the profile nice and compact. The liner and pads are easily removable and washable. The viewport is nice and wide and houses the vast majority of goggles on the market (including the 100% Barstow goggles). Add an optional peak if you want to go for a more off-road look, or ride as is. Whatever your preference, Shoei created an awesome looking helmet with a spec-sheet to match! Head measurement in centimetres. If you are un-sure how to measure your head, please watch our brief You Tube instruction video.